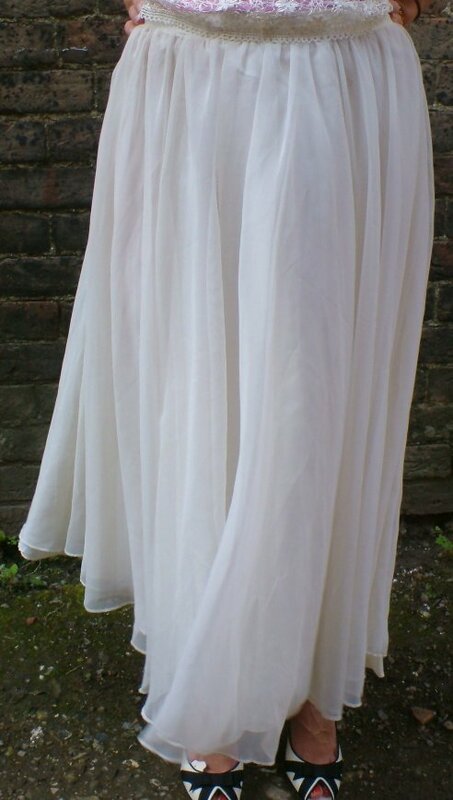 Vintage 1950s/60s white chiffon Marilyn Monroe skirt. 'The Seven Year Itch' was a big hit for Marilyn Monroe in 1955. 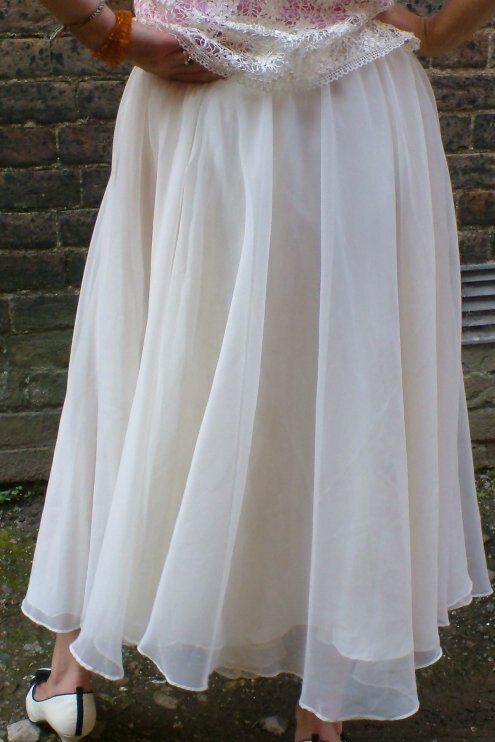 Copy her iconic pose in this glorious, multi-layered, full circle chiffon skirt - grating not provided! 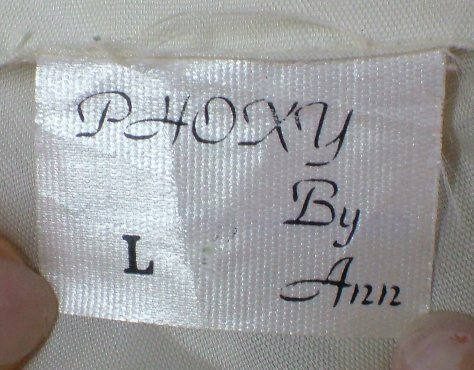 Like Marilyn herself, it's a larger size - I would guess about a modern size 18 (but see measurements below). It has a narrow satin waistband, onto which the very full, floaty chiffon is pleated, and a short zip with hook and eye fastening. 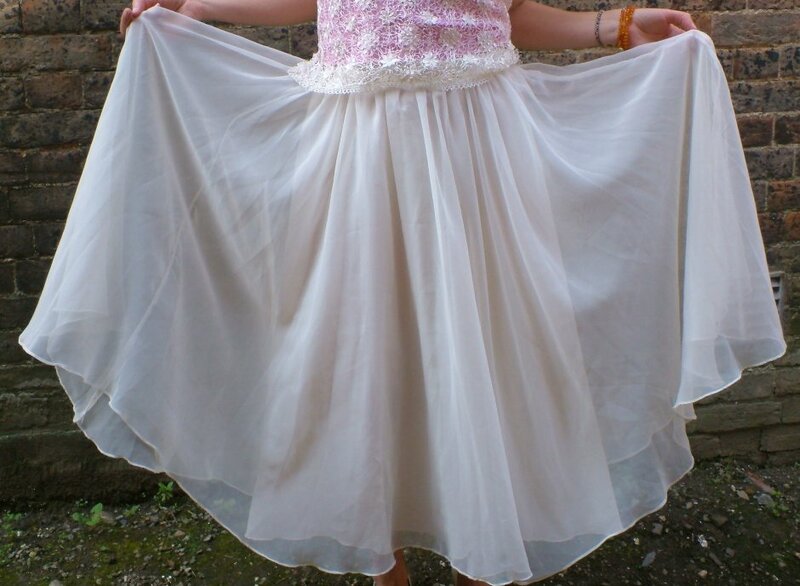 The underskirt of creamy satin is equally full. It's truly elegant and fabulous skirt for the more generous figure! Approximate measurements are: waist 39 ins/99 cms, length 31 ins/79 cms including waistband; I have tried to measure the circumference of the skirt, but it's beyond me - sorry!